Just thought I should start a new thread about lap times . I havent seen anyone present their lap times with the shifter. So far i havent been able to beat my KF1 lap times (44s). Its a very different driving style and pretty intense. 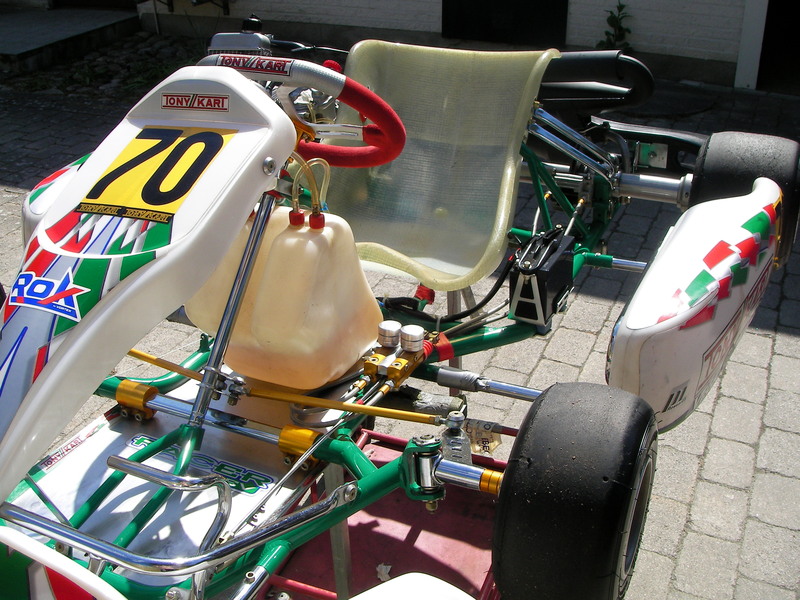 Iam curious about how big the difference might be between the KF1 and the KZ- kart. There is a statistic area on the krp website, were all the Laptimes of registered users are displayed, unfortunately only for Lonato atm. I actually have found that the KZ is easier to drive. The front brakes for me are difficult on the KF because of how bad my wheel is. ok thx now I know how slow i am. Its very even between KF1 and KZ. What wheel are you using Koyen? I have a G25 and it feels pretty good, but I dont even use the front brakes on the KF1. I dont understand why they introduced front brakes to KF. Its pointless and makes it even more expensive. Only KZ should have it. I have an old Logitech Driving Force, probably at least 10 years old. It has no force feedback or pedals anymore. My front brakes have to be mapped to a button since the paddles are taken for shifting. So I have to turn the front brakes down to like 25% or they instantly lock up. I put the front brake on the right shift pedal behind the wheel, unfortunately the pedal is similar to a button, so there is just a digital input. I can set the frontbrakes up to 56% without having any blocking wheels, however.